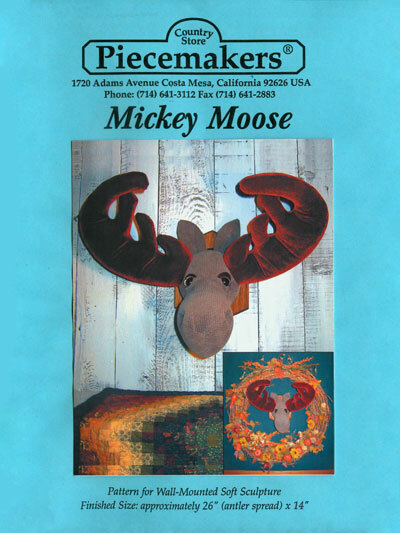 Mickey Moose is a hunting trophy for the sportsman with a heart. His beautiful noggin (and don't even get me started on those antlers) lends itself to heavier weight fabrics like corduroy, demin, flannel, batiks and wools. He will grace a log cabin as easily as a mantle in your living room.